A new year means it’s time to make new goals! 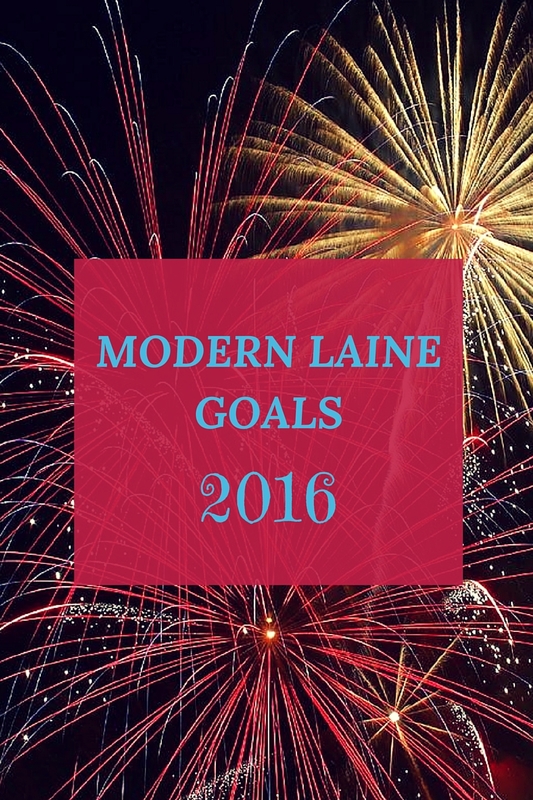 I have a lot of big goals for Modern Laine and 2016, so today I’m gonna share those with you! It took me a few days to come up with reasonable and reachable blog goals. Making goals is hard, because unlike resolutions which everyone makes but hardly complete, goals are supposed to be more attainable. How do you come up with attainable goals that aren’t too easy to attain? It’s a little tricky, but I found that to do it you have to come up with what you want to accomplish, then think how can I make this a little harder or dream bigger? Once you do that then you have some great goals for the year! Here are my six goals for my blog in 2016. Write at least 5 posts a month. I think five posts is a reasonable goal for the month. Be more active on Twitter. Twitter is a great way to connect with people and build a community. Grow my readership. I plan to work on interacting on social media more with my current and potential readers. Write for other blogs. I currently write for my friend Laura’s blog Ginger & Co., but I want to try writing for other blogs as well. Create and maintain an email list. I know my way around MailChimp, I just need to create and then build my email list! Now that I’ve shared my blog goals it’s time for my personal goals for 2016. That post will be coming next week! Share your plans to make 2016 your best year yet!